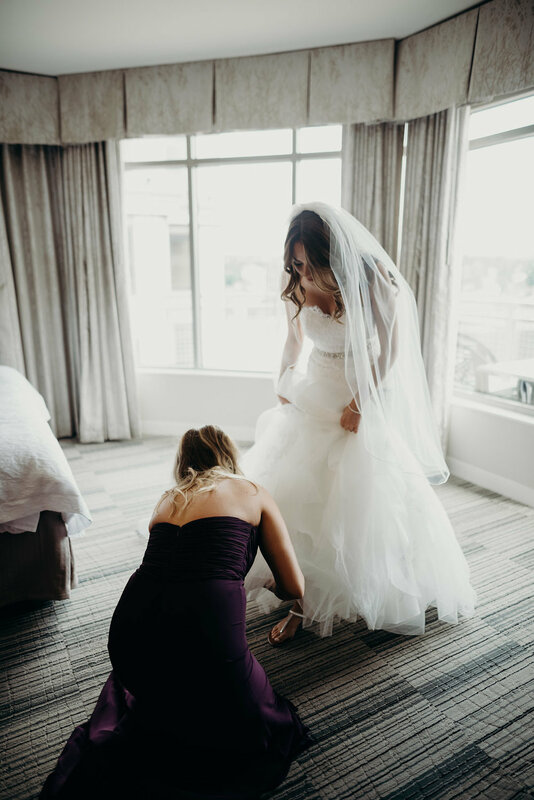 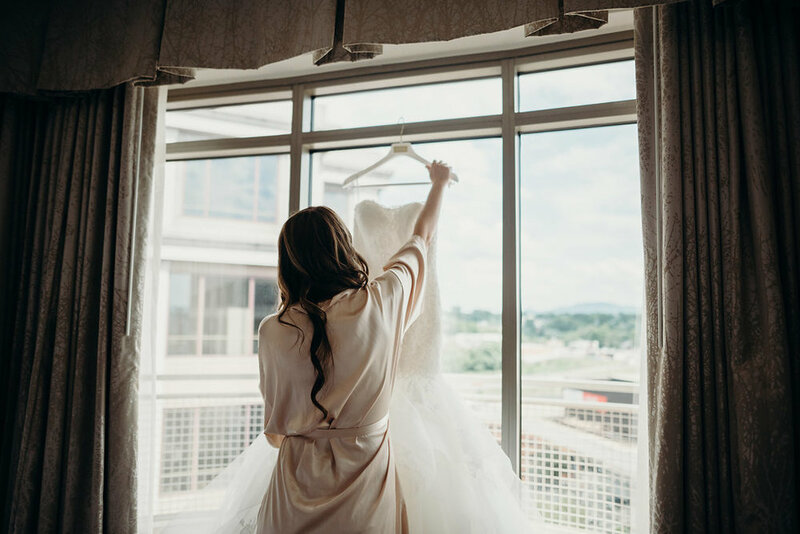 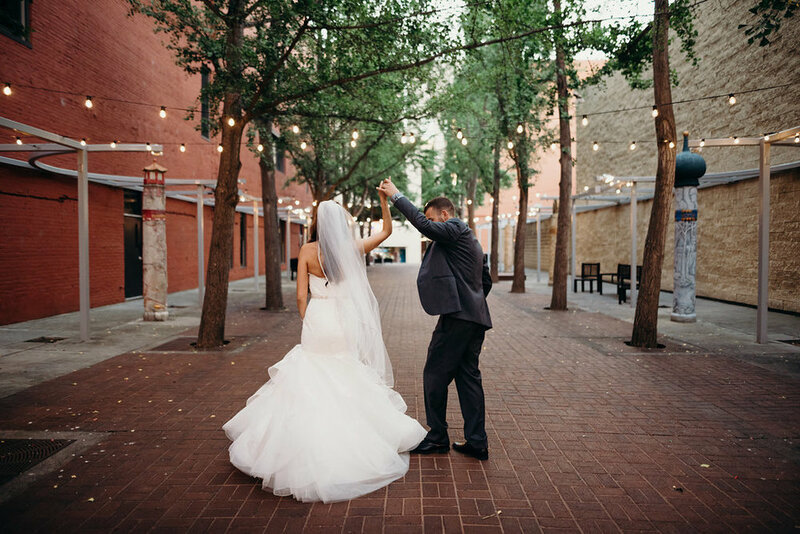 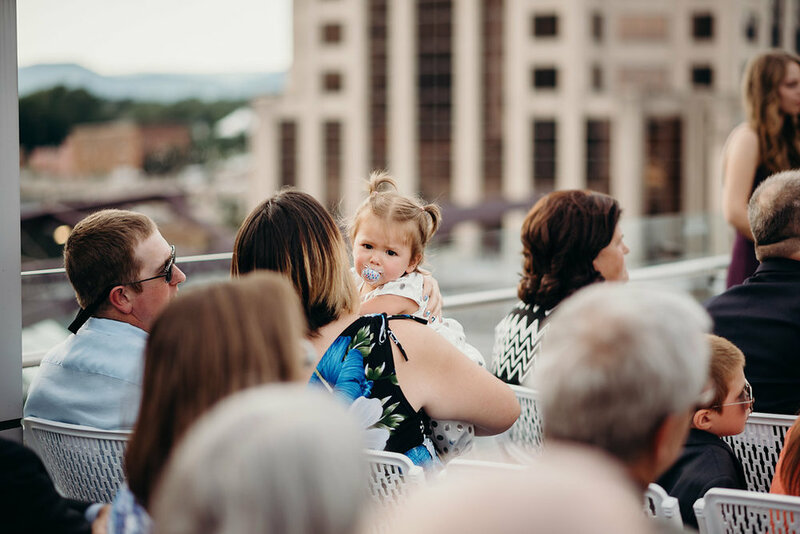 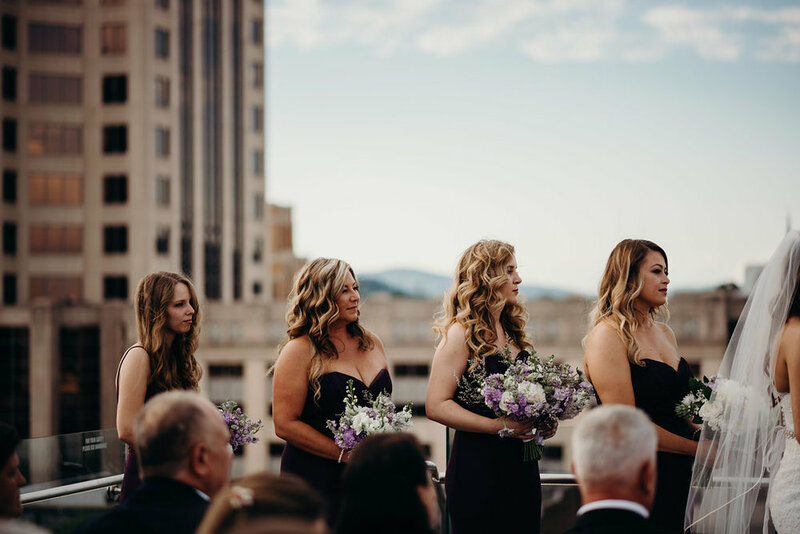 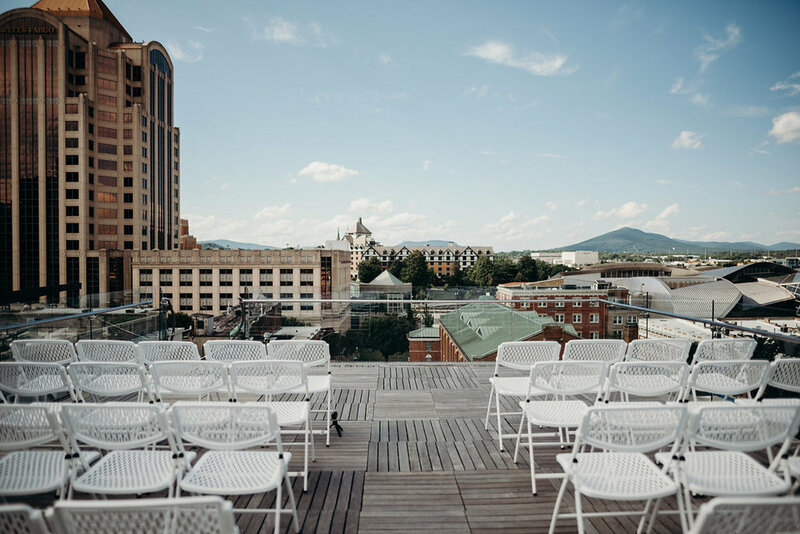 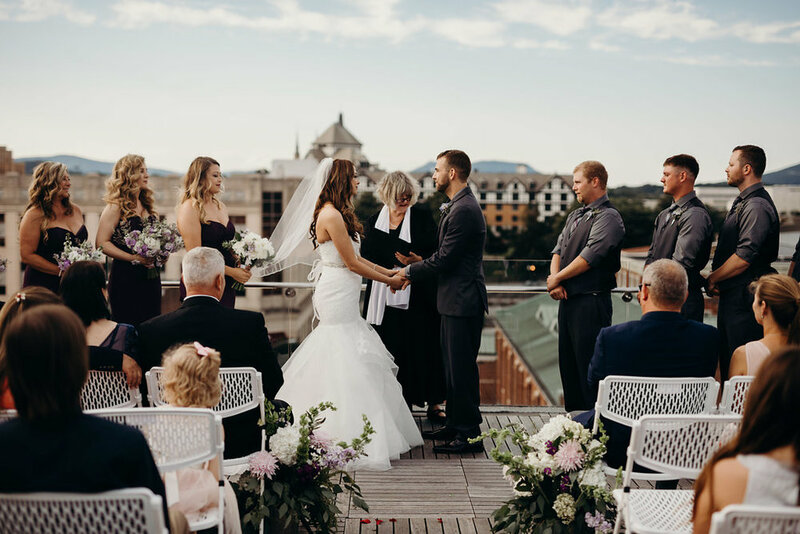 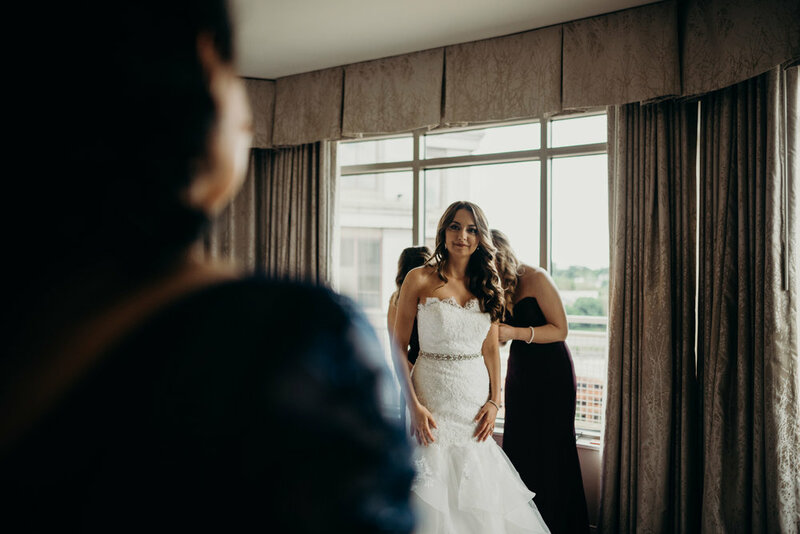 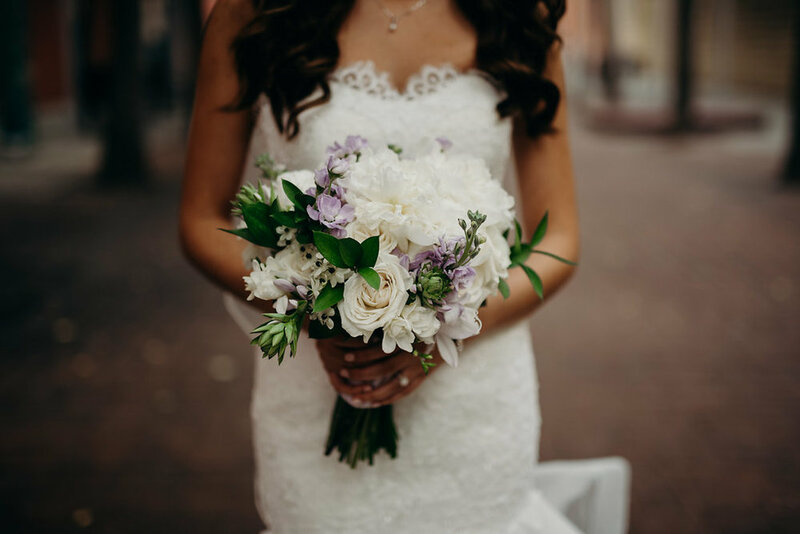 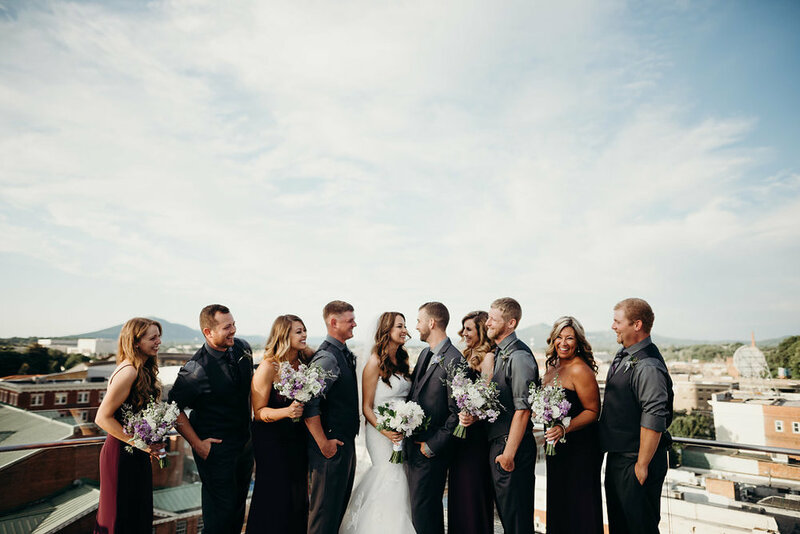 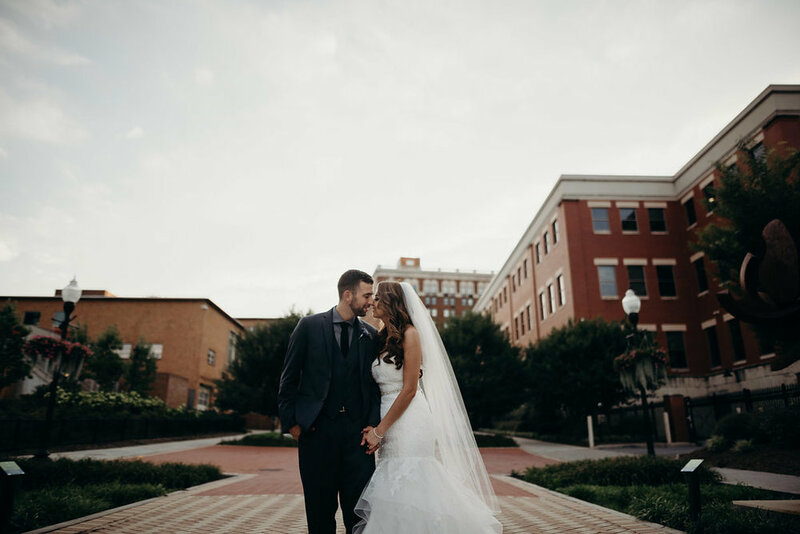 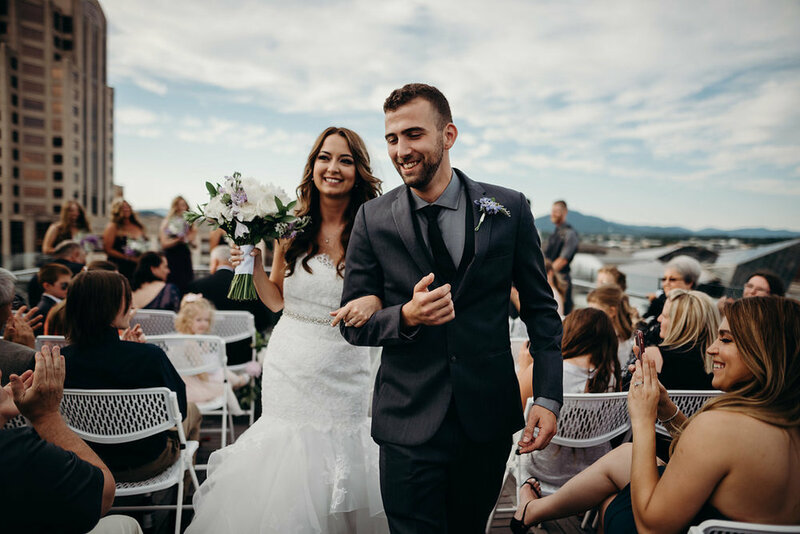 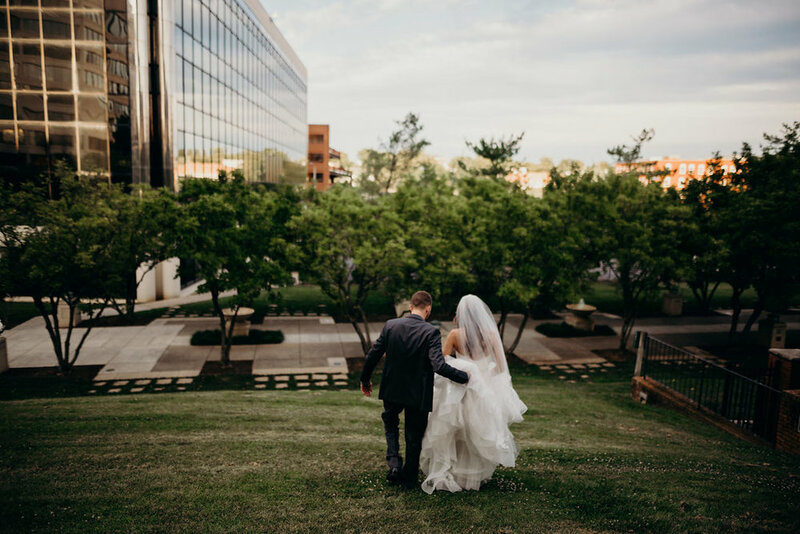 Nick and Samra's rooftop wedding in Roanoke was an absolute success. 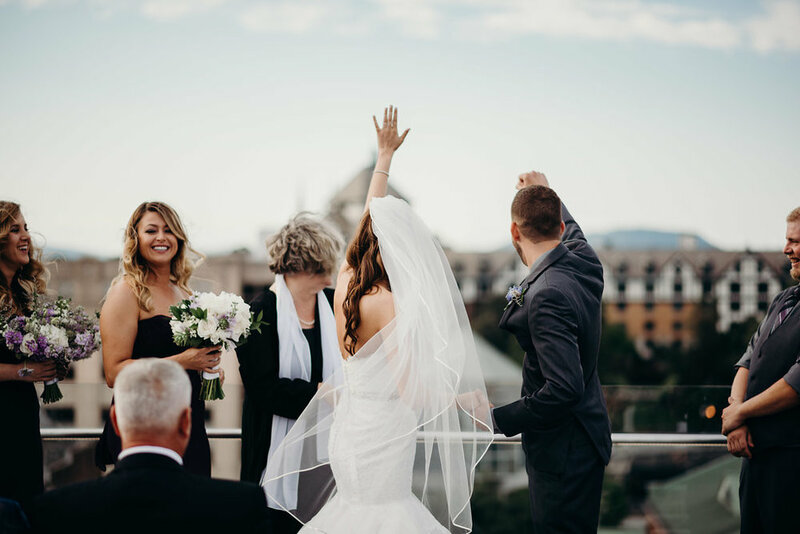 Beautiful weather, amazing views and a gorgeous, madly in love couple... what more do you need? 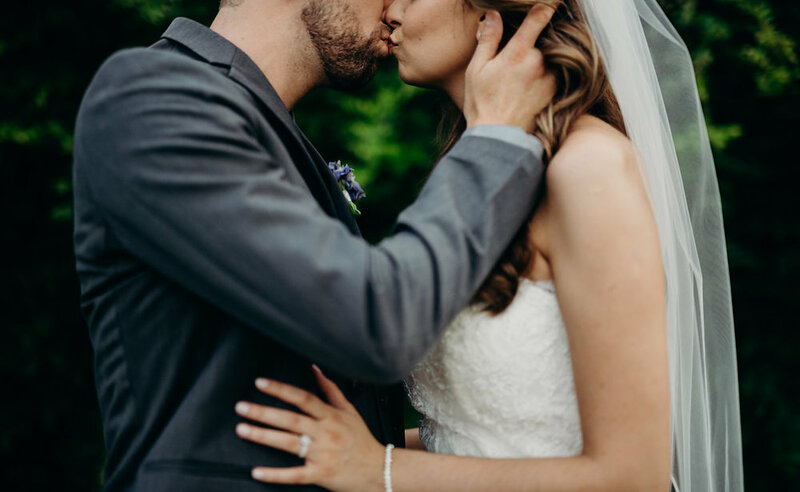 Something unique about their ceremony was their exchange of family swords. 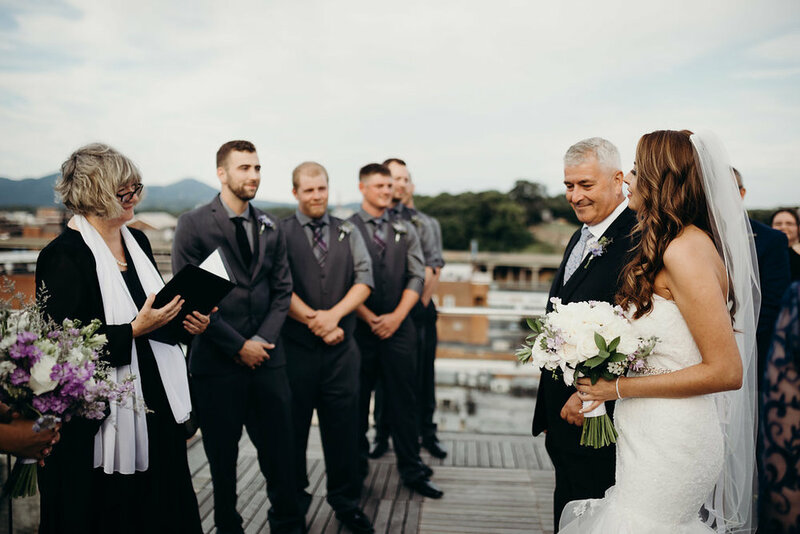 During their ceremony each mother handed them their family's sword. 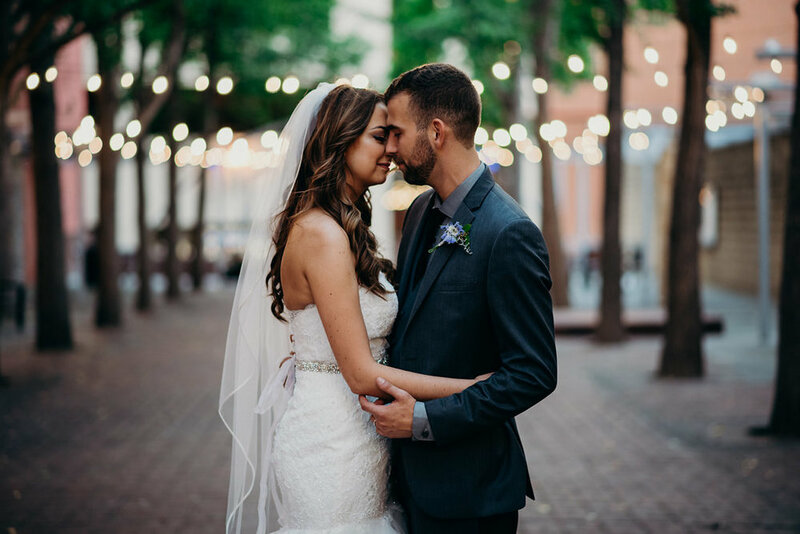 Nick & Samra exchanged these swords and then returned the new sword to their family. 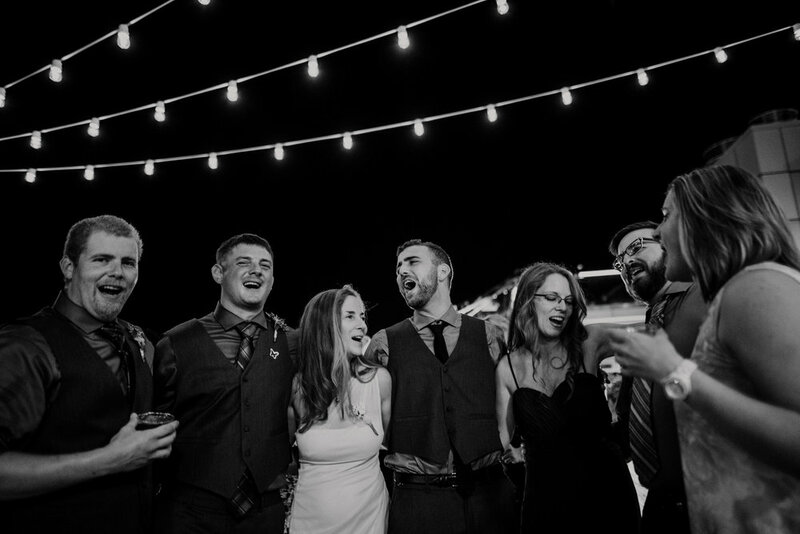 It was really cool to witness. 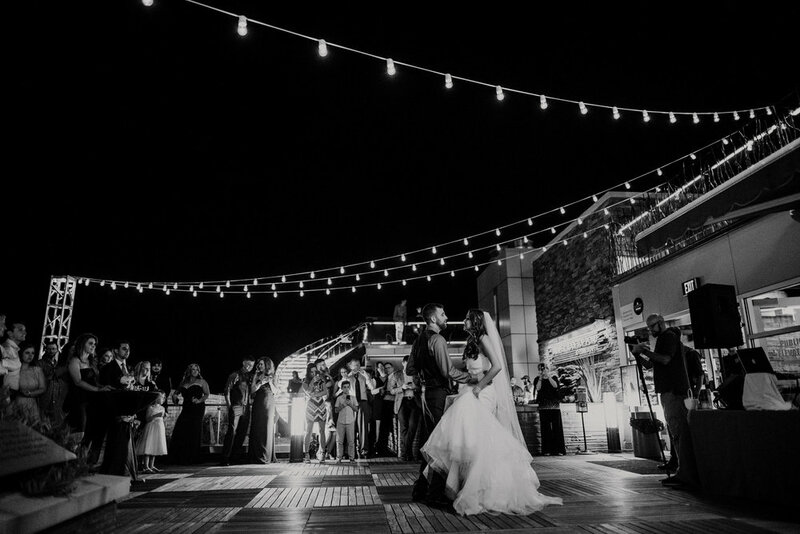 I love things like this that create a sort of individuality to your day.